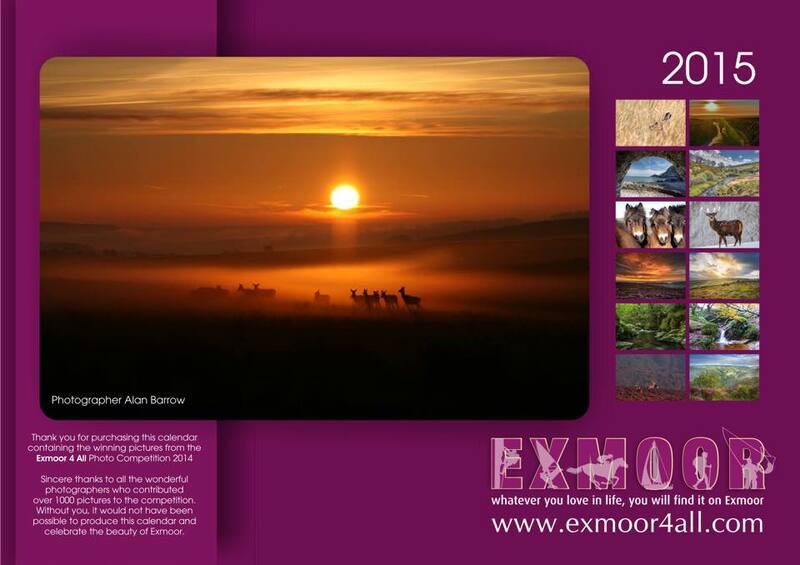 The very first Exmoor4all Calendar 2015 is finally ready to order! It will feature 13 images which were chosen from the more than 1000 entries of our Exmoor4all photo competition over the past 12 months. You can pre-order now – the calendar will be posted to you as soon as possible. Calendars are £6.00 plus p&p.